MANILA (Reuters) - The Philippines' competition watchdog fined ride-hailing firms Grab and Uber Technologies on Wednesday, saying they consummated their merger too soon and that the quality of service dipped, becoming the second regulator in the region to penalize them. Uber [UBER.UL] sold its money-losing Southeast Asian business to bigger regional rival Grab in March, prompting regulators in the region to scrutinize the deal to see if it substantially reduces competition and leads to poor service. 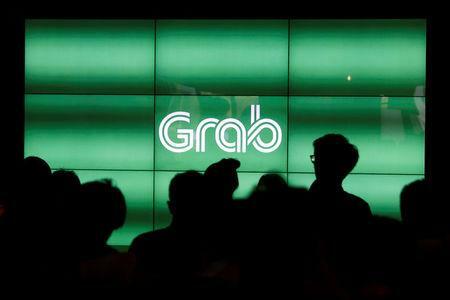 The Philippine Competition Commission (PCC) approved Grab's acquisition of Uber's operations in August, making it conditional upon rules being met to ensure fairness to consumers given Grab's stranglehold on the local market. But the ride-hailing firms violated the conditions, including combining their businesses and Uber [UBER.UL] taking a board seat in Grab during the antitrust body's review of the merger, the PCC said. The regulator said it was left with no choice but to fine them a cumulative 16 million pesos ($296,873). "This is a fair reminder to parties subjected to merger reviews to cooperate and comply with the commission's orders," PCC Chairman Arsenio Balisacan said in a statement. The competition body ordered Grab and Uber to collectively pay 4 million pesos for failure to keep their businesses separate during the review. Grab should pay 8 million pesos for failure to maintain the conditions before the transaction, such as pricing policies, rider promotions, driver incentives and service quality, PCC said. Uber was slapped with a 4 million peso fine for the same violation. "We are currently studying all our legal options with regard to the fine imposed by the PCC," Leo Gonzales, public affairs head of Grab Philippines, said in a statement on Wednesday. Uber did not immediately respond to a request for comment. Several local ride hailing firms have started operations in the Philippines' capital and in major provinces since March, but they have yet to make a dent on Grab's market share, which stood at 93 percent. Singapore's competition watchdog last month ordered Grab and Uber to pay S$13 million ($9.5 million) in fines after concluding that their merger had driven up prices.